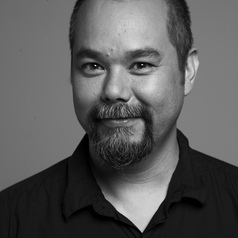 Dr George Poonkhin Khut is an artist and interaction-designer working across the fields of electronic art, design and health. His body-focussed interactive and participatory artworks use biofeedback technologies to re-frame experiences of embodiment, health and subjectivity. Recent group exhibitions include "CUSP: Design into the Next Decade", curated by Object Gallery (Australian Design Centre); "Sensory Overload" at the McClelland Sculpture Park and Gallery; "Synapse: A Selection" at the Powerhouse Museum, Sydney, "Wonderland" at the Museum of Contemporary Taipei, "Sensorium Gymnasium" event at Performance Space (Sydney) and "Inbetween Time" (2006) at Arnolfini, UK. Research interests include tangible and embodied interaction, participatory art, and experimental art and interaction design in health and medicine.